Altium Limited, a Global Leader in Electronic Design Automation, is Scheduled to Release an Integrated Documentation Solution for Their Flagship PCB Design Tool, Altium Designer. 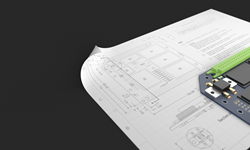 Draftsman™ Provides PCB Designers with a Centralized Documentation Workflow Within Their Existing Design Workspace and Includes Powerful Mockup Tools, Customizable Drawing Views, and More. Altium is scheduled to release a new documentation workflow available exclusively in their flagship PCB design platform, Altium Designer 16.1. Draftsman™ provides PCB designers with a unified documentation solution with customizable drawing views, documentation templates, and a fully complete design to documentation workflow in Altium Designer 16.1. Engineers interested in learning about all of the new features in Draftsman™ can view the Altium Designer 16.1 Coming Soon website. Avoid Third-Party Tools - Create and update assembly documentation without having to waste time importing and exporting design files among multiple tools. Communicate Better - Quickly communicate design intent to manufacturing with easy-to-use design markup and drawing object tools. Define Their Details - Provide detailed perspectives on design intent with flexible board views with expressive call-outs. All of these features and more are available directly within a PCB designer’s workspace in the unified environment of Altium Designer 16.1. With a fully unified solution for both design and documentation, engineers can stay efficient without having to add another software package and interface to their existing electronics design workflow. Draftsman™ is one of the several new features in Altium Designer 16.1, a major update to the company’s flagship PCB design tool. Altium Designer 16.1 is scheduled to be released on May 2nd, and designers can register now for a free webinar and learn more about Draftsman™ on the Altium Designer 16.1 Coming Soon website. Altium will also be in attendance at the annual Embedded Systems Conference in Boston at booth 865 to show off all the new improvements being added to Altium Designer 16.1. Engineers interested in attending the conference can register here to secure their ticket.